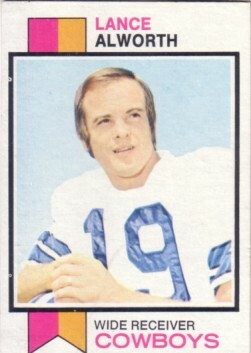 1973 Topps card of Hall of Fame receiver Lance Alworth, who finished his career with the Dallas Cowboys. ExMt/NrMt or better condition. ONLY ONE AVAILABLE FOR SALE.